Did you know that the Department of Employment undertakes research into job prospects for business analysts. Their forecast is for continued growth in employment prospects through to 2020. The research also contains useful information on average earnings and typical skills required. The Department has, as you would expect, an in-depth understanding of the Australian business analyst jobs market as well as access to statistics and data not necessarily available to private industry. One of the Department’s initiatives is the Job Outlook website and within this a section devoted to ICT Business and Systems Analysts. As well as providing an overview of the analyst’s role and the tasks undertaken, the website also throws up some illuminating facts. For example the number of people employed in the profession (23,900 in Australia) and the average yearly salary before tax (just over $95,000). Employment profiles – by state, age, gender, etc. – are also covered. 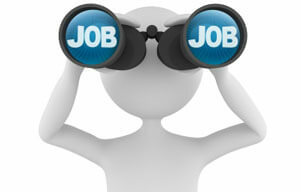 Job vacancies by state are also included. The site also has a particularly interesting section on skills. Critical thinking is rated most important followed by active listening. Under the abilities section, information ordering, oral comprehension and problem sensitivity are rated equally important. If you’re beginning to see a trend here then consider this – in the knowledge section, an understanding of IT is considered the most important followed closely by the English Language. For a business analyst who’s life can all to easily revolve around processes, systems and technology, the role and value of soft skills should never be underrated! You can view the full Jobs Outlook website here.